Manufactured for Canadian Conditions, our Premium Grade SJTW cord is made to be the perfect all around cord for use in our harsh conditions. We include rugged and durable ends that light up when it is plugged in. CANADA WIRE'S STOVE/ RANGE CORD KIT INCLUDES INSTALLATION HARDWARE AND IS RATED FOR 40AMPS/ 250V. THE 1.6M /4.9 FT CORD OFFERS SUFFICENT ACCESSIBILITY TO THE STOVE WALL OUTLET. 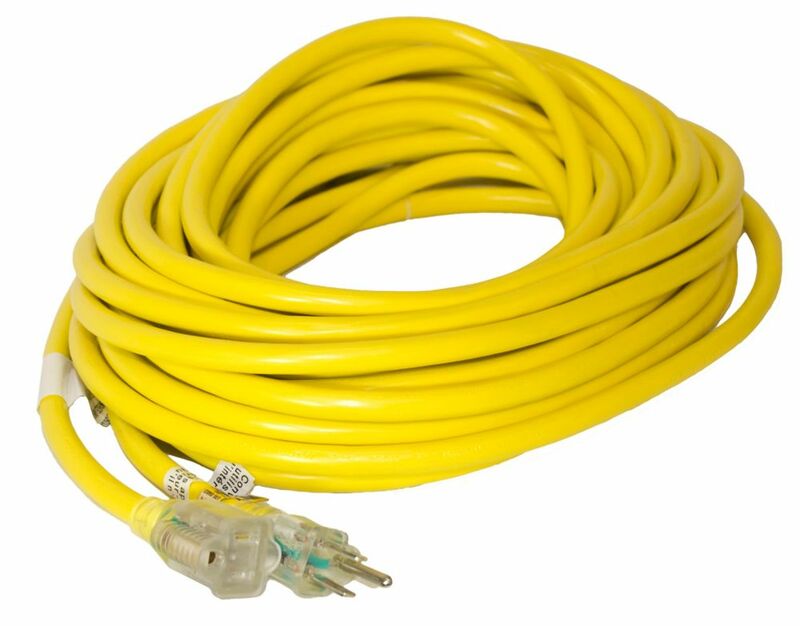 This HDX 100ft 16/3 Yellow Extension Cord is specifically engineered for applications such as powering tools and portable lights. This extension cord comes with a 3-prong grounded plug and outlet for additional safety during application. It is made with durable vinyl jacket that resists abrasion, moisture and prolonged exposure to sunlight and are sturdy enough for both indoor and outdoor use. This cord also features added length for flexible and versatile use. This HDX 12ft 16/2 Brown extension Cord is ideal for lamps, clocks and powering ungrounded small appliances. This extension cord features three polarized outlets to provide power for more appliances. It is also comes with a safety cover to serve as a protection for unused outlets. This HDX 15ft 16/3 Red and Black Extension Cord by Exito is ideal for powering many types of appliances and home electronics. Cable jacket is made of thermoplastic material that allows it to be flexible and durable even in prolonged exposure to sunlight. This extension cord comes with a 3-prong grounded plug and outlet for additional safety during application. SJTW 12/3 15.2M (50Feet) Single Lit end - YELLOW Manufactured for Canadian Conditions, our Premium Grade SJTW cord is made to be the perfect all around cord for use in our harsh conditions. We include rugged and durable ends that light up when it is plugged in.